Vernacular Victorian 2-story house with a pmtial hip and partial gable roof, a gabled front wing, an interior chimney, and 1/1 sash windows. 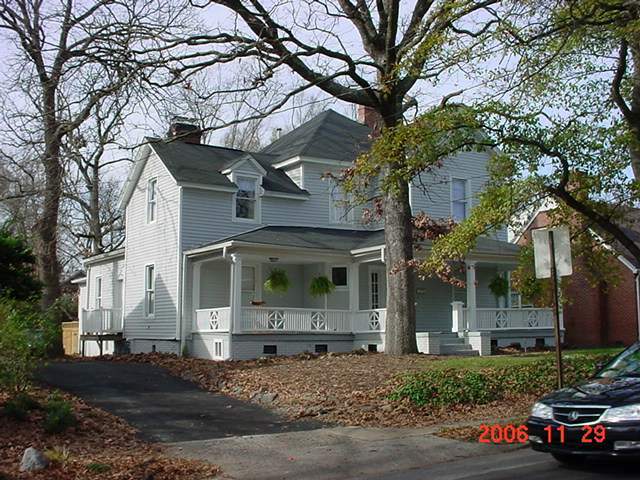 The 1-story porch (probably a 1930s replacement) has tapered box posts and a plain railing. The front entrance has a replacement door and a single sidelight. Vinyl siding and trim. The house was occupied by the Honorable Wilbert H. Young in the 1930s prior to his moving across the street to 1110 N. Gregson St.